Steve Bannon once reportedly decorated his office with a portrait of himself dressed like Napoleon. 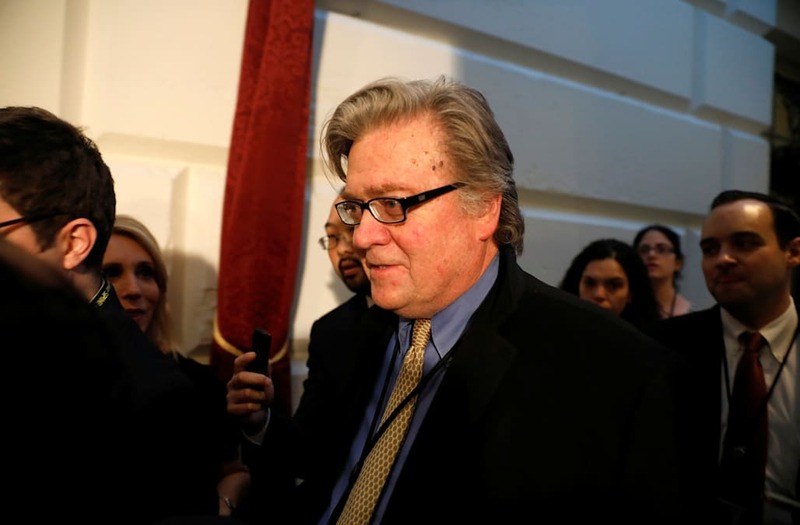 Prior to coming to the White House to work as Trump's chief strategist, Bannon had a portrait of himself dressed as Napoleon Bonaparte hanging in his office during his time at the helm of Breitbart News, New York Magazine reports. The painting, in which Bannon is dressed as the cuthroat French leader, is done to mimic Jacques-Louis David's neoclassic portrait of Napoleon sitting in his study at the Parisian Tuileries. According New York Magazine, the portrait of Bannon in a similar pose had been a gift from far-right British politician Nigel Farage. Read the rest of New York Magazine's Bannon profile here.